There is no doubt the ban is relevant. If a product or service available on the free market generates harm, it is a state’s roles to set measures to protect their citizens. Making informed decisions is the cornerstone of democracy and this process can take some time. But once the ignorance and denial around the health issues of smoking dissolved, many countries implemented resolute decisions by clearly banning smoking from public spaces. By 2007 in Belgium smoking became prohibited at work and in restaurants and bars except in places with cold meals, pizzas and warm meals that are served with bread instead of chips, and have less of 30% of their sales from food servings. This obscure set of rules indicates that the Belgian state probably made overinformed decisions. For both smokers and non-smokers it was hard to judge where smoking was banned and where it was allowed. To make things worse the state procrastinated to make the resolute decision to ban it from all public spaces until it was forced to do so by court in 2011 due to discrimination and distorted competition between bars. In many countries smoking is restricted to a single-purpose area, i.e. the smoking area. People not interested in smoking will find no interest being in that area and smokers will find no interest in staying there. 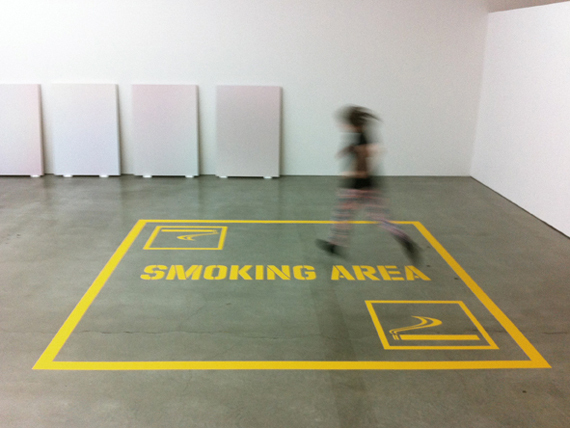 In countries where smoking areas are not clearly defined, their extent is left to the imaginary. Quite often midnight is the point where these imaginary lines get blurred and the old behaviour takes over. Why is it that smokers annex Belgium’s smoke free commons after midnight? And why do we tolerate this? It would be great to hear from you what your views and experiences on these issues are. Next Next post: Do we have the courage to face the realities of our time?